Beyond the borders of Russia, Ivan Aleksandrovicˇ Pyr’ev (1901, Kamen’-su-Obi – 1968, Moscow) is more notorious than known – he’s one of those names mentioned casually whenever talk comes to all that which was and in too many quarters still is deemed artistically dubious, undignified. 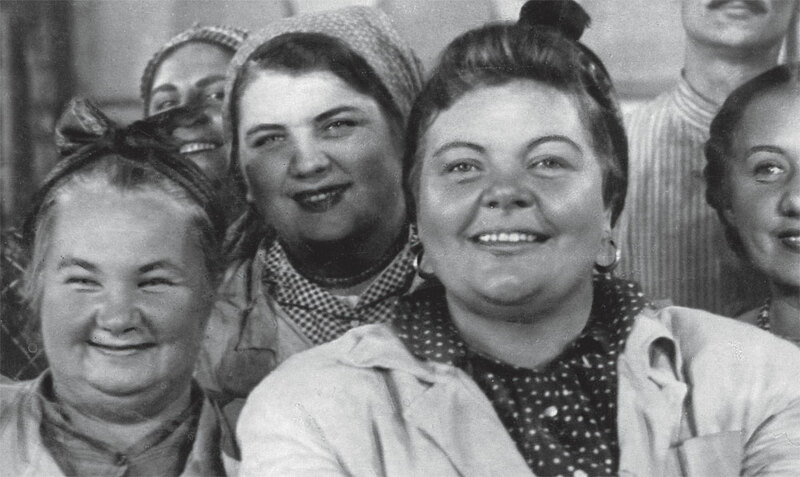 Pyr’ev is above all – falsely – remembered as the inventor of an echt Soviet sub-genre, the kolchoz musical comedy, whose prime examples – Traktoristy (Tractor Drivers, 1939), Svinarka i pastuch (They Met in Moscow, 1941), V šest’ cˇasov vecˇera posle vojny (Six O’Clock in the Evening After the War, 1944), Kubanskie kazaki (Cossacks of the Kuban, 1950) – are usually compared unfavorably to the more Hollywood’ish-looking works of Grigorij Aleksandrov. If in doubt, dazzled maybe by the wonderful rhythms or the surprisingly dark undercurrents especially of Pyr’ev’s later works in this mode, we can paraphrase Chrušcˇev who called Kubanskie kazaki a prime example of late Stalinist cinema’s warped vision of reality. And then, there’s Partijnyj bilet (Anna, 1936). The title and the year of production seem to say it all – while a contemporary reviewer’s complaint about the film’s lyricism suggests that there is more to it than just an agit-yarn about the most holy of objects, the party card. In an astute essay on Krest’jane (Peasants, 1934), Petr Bagrov wrote about the auteur of this maudit masterpiece Fridrich E˙rmler and by extension Ivan Pyr’ev: “[E˙rmler] belonged to that breed of madmen like Vsevolod Pudovkin, Ivan Pyr’ev, Mark Donskoj – unbalanced, explosive, eccentric, foolish, naïve, and stubborn – who turned out to be the most sensitive psychologists, far ahead of their time, yet recording their time more accurately than could have been imagined. Pretty legends were not constructed by these people; instead, barely believable stories and anecdotes were told about them”. Bagrov’s words agree with those of Béla Balázs in his review of Konvejer smerti (The Conveyor of Death, 1933): “This is not a work of socialist realism. And it is not the reality of the capitalist world that this extraordinary film portrays. Actually, it bears no resemblance to any reality. The beautiful and exiting images of Konvejer smerti are more like delirium, a naïve man’s dream about a strange reality he has only heard about”. Which, with Pyr’ev, could work the other way around as well: for instance, in Ispytanie vernosti (Devotion, 1954), his little-known early Thaw gem, Moscow often looks like Hollywood’s best New York; read: Pyr’ev could also imagine the world across his threshold as a strange ‘other land’ full of excitement and promise, dangers, delusions and disappointments. Judging by the stories and anecdotes Bagrov alludes to, Pyr’ev was a man of paradox, an enigma even to many of his friends. Or was he? Wasn’t he simply that rarest of creatures: the versatile genre stylist with a fine sense of entrepreneurship who also had the political savvy to be able to make even his grandest visions come true – the mogul as maverick and vice versa? For Pyr’ev, cinema meant intelligent entertainment for the masses – a people’s art. He made films to be thoroughly understood, and he knew that stories and images everybody knew were a short-cut to the collective unconscious, the dream life of a nation, its desires and fears, angels and demons. He knew what people longed for.